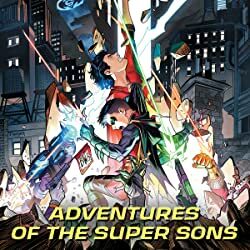 What starts as a simple training mission becomes a dimension-spanning adventure for the sons of Superman and Batman, and Superboy teams up with the Teen Titans for the first time in the stunning second volume of Super Sons! 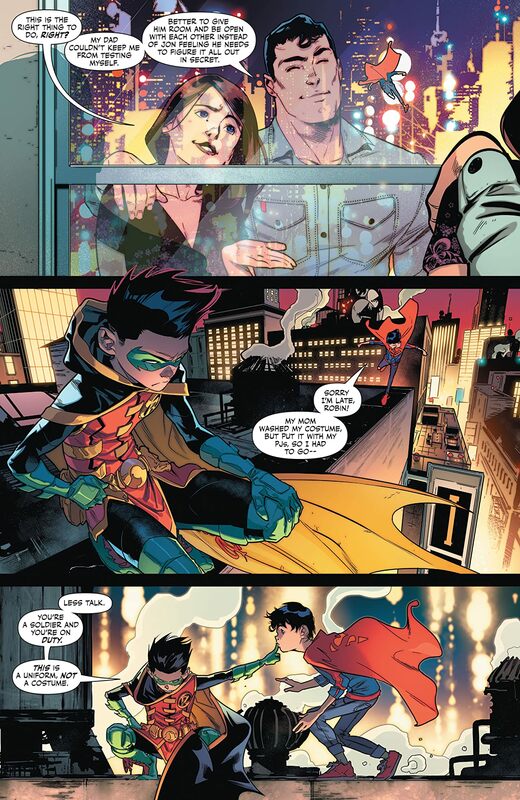 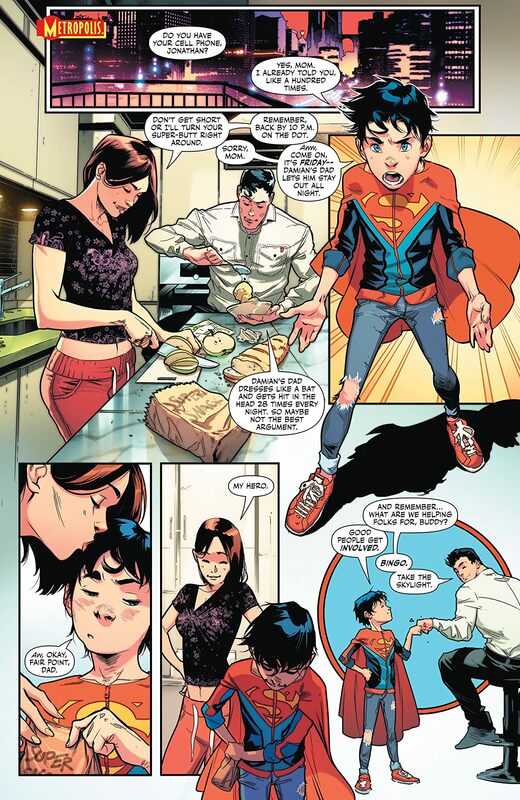 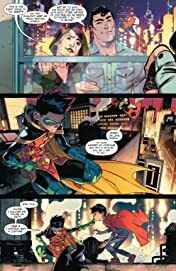 Superboy (Jonathan Kent) is excited to have a night out on patrol with Robin (Damian Wayne), at least until he learns that Robin thinks his job is to teach Superboy how to fight crime. 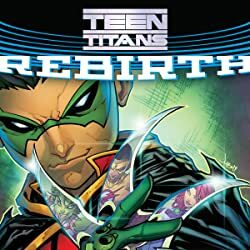 But an emergency call from the Teen Titans leads to an encounter with a group of forgotten villains...one of whom bends time itself to make Robin too old to lead a team called the Teen Titans! 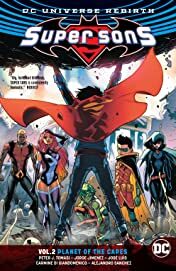 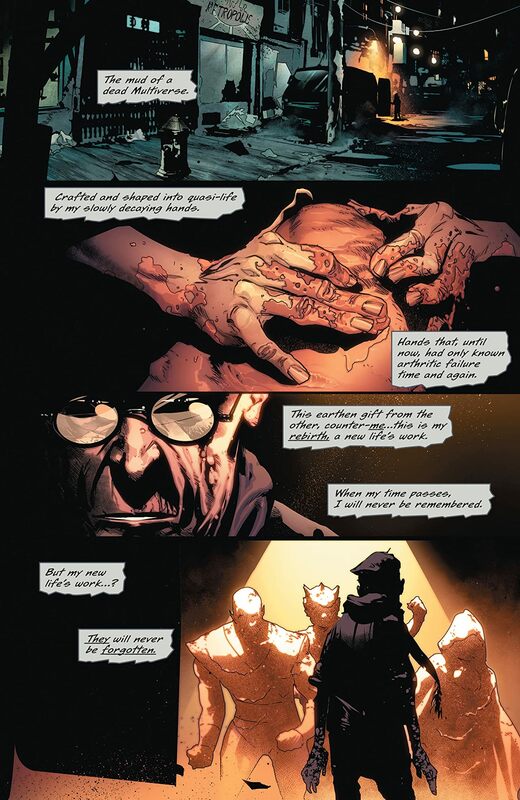 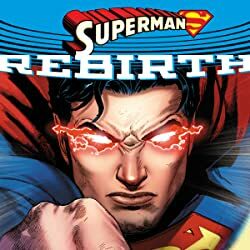 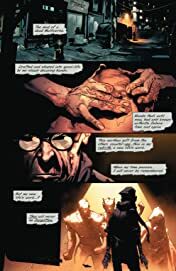 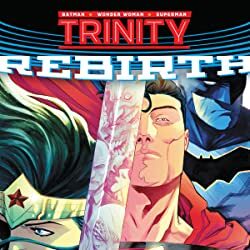 And the battle’s aftermath leads Robin and Superboy to another dimension, where they must help the last survivors of a decimated world defeat a planet-sized menace! All this, plus the long-awaited unveiling of the Super Sons’ secret headquarters, unfolds in the newest collection showcasing DC’s next-generation super-team! Acclaimed writer Peter J. Tomasi (Superman) is joined by artists Jorge Jimenez (Earth 2: Society, Amazing X-Men), Carmine Di Giandomenico (The Flash), Jose Luis (Supergirl) and more in Super Sons Vol. 2: Planet of the Capes, collecting issues #6-10 of the popular series.